How many days have we been waiting for this? Barcelona was one of the toughest defences in Europe last season, hardly conceding much. But this season, their utterly poor defence just wouldn't let Ter Stegen keep a clean sheet. As a fact of the matter, the Blaugrana had conceded at least once in each of their previous 11 LaLiga games. Their worst run since 1998. However yesterday they looked solid. Arturo Vidal and Sergio Busquets did a whole lot of dirty work combining to win a total of five aerial duels and six tackles. The only major error on Barcelona's part was the one occasion when Lenglet and Ter Stegen failed to communicate. Other than that, Villarreal never really threatened the defence. Their proceedings were halted before they started by the midfielders. Pique and Lenglet kept their cool against whatever crosses Villarreal had to offer. 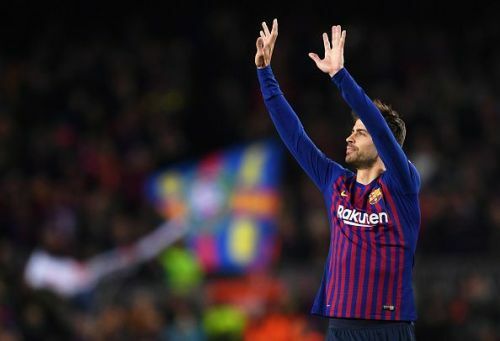 Gerard Pique had a mammoth performance winning three aerial duels and three tackles. He also made crucial blocks from the shots. Not to mention, his goal that gave Barcelona the lead. Marc Andre Ter Stegen faced only two shots on target, the other 10 put off by the defensive efforts. Villarreal never got in behind the defence and finally, Barcelona has a clean sheet.